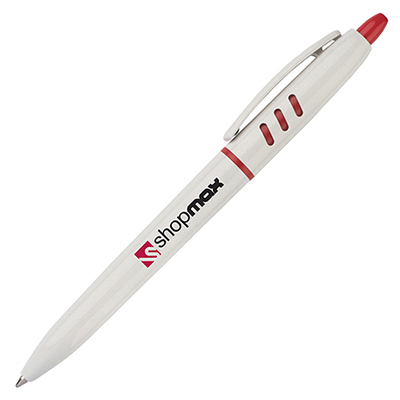 Description: S30 FT PLASTIC RETRACTABLE BALL PEN. Solid White Barrel & Colour Trim. Black Ink Refill. Made in Italy.